How to Restore your realme smartphone from a backup? 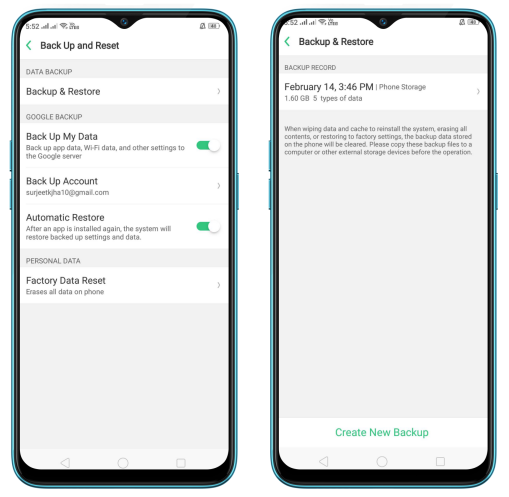 Learn to restore your realme phone from a backup. There are various methods to back up data on realme smartphone. Select the corresponding restoration method according to the way you make backup. 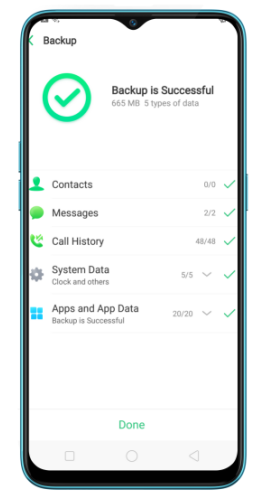 Restore your realme smartphone from [Local backup]. Before you start, make sure that you have copied and saved the data on realme smartphone. 1. Go to [Settings] > [Additional Settings] > [Back up and reset] > [Local backup], or go to [Tools] > [Backup and Restore]. You can find the data you want to restore according to its backup time. 2. 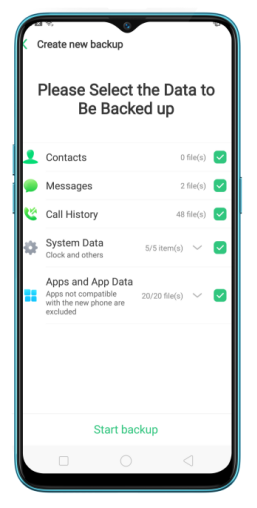 Select data to be restored, including Applications (Applications and Application Data), Personal Data (Contacts, Messages and more) and System Data (System Settings, Clock and more). Then start the restoration. 3. Realme smartphone will display the progress and details till the restoration is done. * DO NOT turn off or restart your phone during the restoration process, otherwise data may be damaged or lost. * After restoration succeeded, you can delete the backups that are no longer needed. 4. Restore your realme smartphone via computer. If your backup files are stored on external storage such as SD card, removable hard drive, etc., copy these files to your realme smartphone to complete data restoration.